11-1 Jalan PUJ 3/12, Puncak Jalil, 43300 Seri Kembangan, Selangor , Malaysia. Hileytech Sdn Bhd is an AVG Gold Reseller in Malaysia since Year 2002. 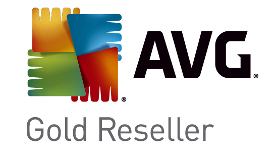 We sell both AVG Business Edition as well as Home Edition. We will also be able to help you with the AVG License Renewal at very attractive rate.